The constant changing of narrators was annoying. Anti climax to an awesome series. Tim should have finished it on his own. 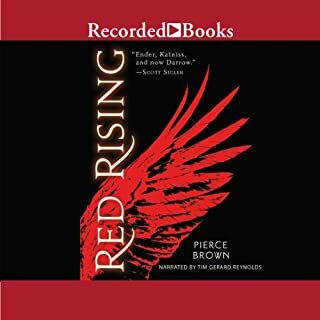 As always I love the red raising series. only this time it has 3 more narrators. it took me some time to get use to and they all had different pace in their speech I had to slow down some of the narrators. Lyria's narrator was a bit too passionate... I really enjoyed the original narrator. I love the story. This book adds another layer of depth into all of yhe characters. I feel like the book is growing darker and darker. i cant wait for the next book. Don't bother with this book if you enjoy the narrator. They have ruined it with multiple bad narrators. Well done but need constant names. Darrow's narrator says "Sir-vo" a few times. he hasn't done this in the past. Lysanders narrator always calls Roke "Rock" instead of "R-oak" bit annoying. good book. 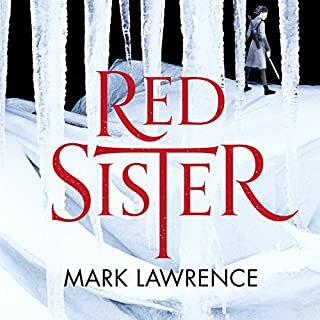 worth reading but no where near as good as the red rising trilogy. 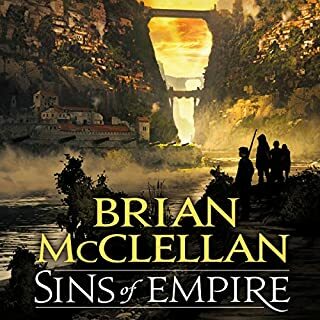 Absolutely loved this follow-up to the red rising trilogy. The only noticeable fault is various places the narrators mis pronounced names. Can't wait to hear the next story! Worthy sequel to a great sci-fi series! 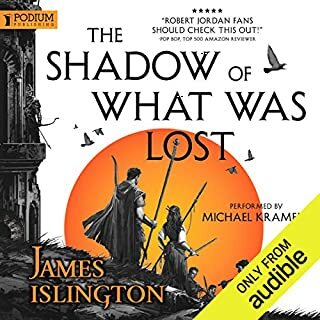 I'll not say too much about the plot or story of Iron Gold but will say that I felt like it was a worthy sequel to the original Red Rising trilogy and that I felt the 10 year time jump and expanded POV cast did more to enhance the story than damage it. I love Darrow but I warmed to a few of the new characters and felt like they offered a different perspective on things which in turn gave the world a bit more depth to it. Pierce Brown really is my sort of author. His writing is highly engaging and has a beautifully melancholic and poetic feel to it. His books are always intense and exciting and really drag me through the emotional ringer from start to finish. 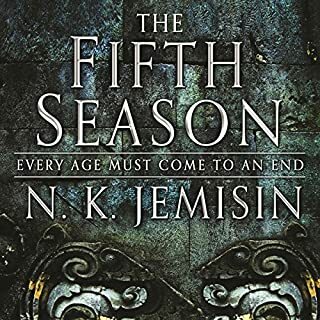 It is great when you find a book where you find the story super exciting and can emotionally engage with the characters and happenings. On to the important stuff: Recorded Books decision to bring in three additional narrators! 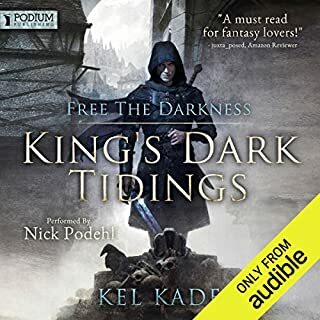 I had some serious concerns going into Iron Gold when I heard that Recorded Books had decided to limit Tim Gerard Reynolds role in the book by brining in three new narrators to voice the three new POV's. The only positive was that they had retained TGR for the Darrow POV segments. 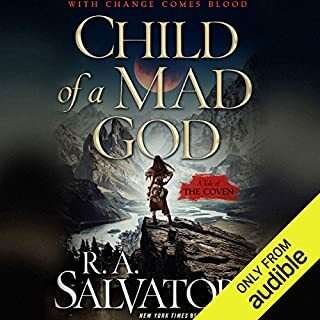 I'm still puzzled by why they thought this was a good idea as TGR is one of the best narrators out there and his performance of the original Red Rising was fantastic. One of the best performances of any audio I've ever heard (and I've listened to hundreds of audios over the years!). The guy was so good he enhanced the quality of an already great story with his ability to convey emotion with his voice and his excellent voice acting. It goes without saying that TGR's Darrow POV section of Iron Gold were as fantastic as one would expect. His take on Apollonius was stand out good and worthy of praise! So how did the new narrators get on? They were a bit of a mixed bag. John Curless - He did the Ephraim POV segments and I thought he was fantastic. Almost as good as TGR with his ability to convey emotions and he really got the tone and humour of the story. If he had a flaw it was that his character voices, while pretty good, were just not quite as good as TGR's. Still, he gets the thumbs up from me and I'll be happy to listen to more books he narrates in the future. Aedin Moloney - She voiced the Lyria POV segments. I felt like she did an decent job. I took a bit of time to get used to her strong Irish accent and her dramatic style but once I did I warmed to her quickly. She struggled a little with the set voices and accents of the established characters but seemed to get the tone of the story and was also quite good at conveying emotion with her voice. Julian Elfer - The guy voiced the Lysander bits of the story. I felt like he was the real weak link and the only narrator not up to the job. He was pretty awful. The only good thing he had going for him was that he was well-spoken and his voice was a great fit for an upper class Gold. The problem is that he was a poor voice actor and just read everything in a monotone. He even failed to get the humour which sounded decidedly off and stilted via his poorly timed delivery. He was also not great with the dialogue in general. It was often tough to figure out which characters were speaking! At least the production by Recorded Books was not awful. To their credit they had the new narrators retain the accents used by TGR in the original RR trilogy. It is a minor thing but really makes a difference as it helps with consistency. 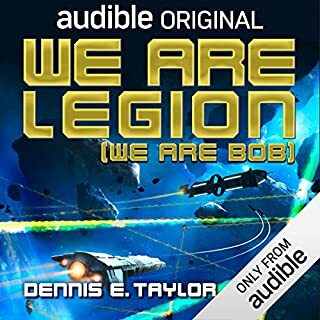 I feel like this would have been better if they had just stuck with TGR as the narrator for the whole book but that the additional narrators did not overly hurt my enjoyment of the audio as two of them were good and only Elfer was not up to the job. Should've kept to one narrator. Good book, but the move to multiple narrators didn't work for me overall. TGR great and Julian Elfer decent (good voice, but delivery a bit flat); John Curless seems an impressive narrator, but sounds far too old for the character he's playing, which I found jarring. However, Aedin Moloney's painfully affected, overwrought performance completely ruined those sections for me. 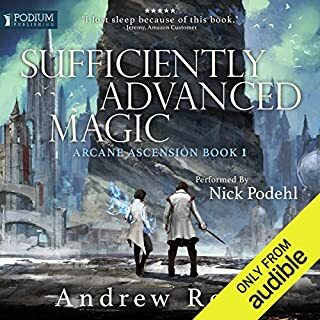 three new narrators who haven't a clue how to read this. was so looking forward to hearing time Gérard Reynolds superb narration as before bring him back to redo this completely. hope he's doing the rest. 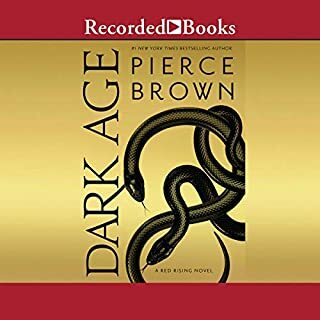 Thoroughly enjoyed this latest offering by Pierce Brown. Tim Gerard Reynolds is outstanding as always. 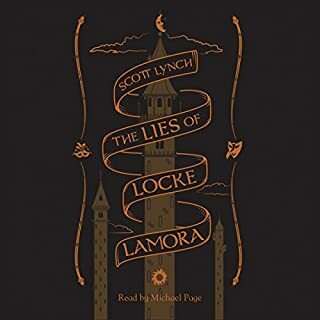 John Curless, and Aedin Moloney also do an admirable job with Lyria and Ephraim. 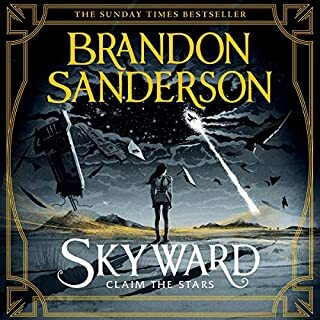 However Julian Elfers Lysander may be some of the worst narration I've heard in my 5 years with Audible. Rushed, clipped and monotonous. 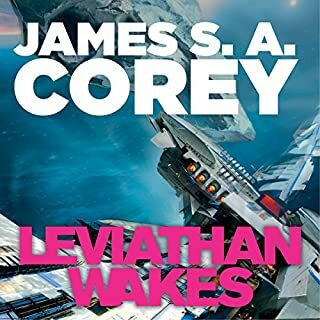 Great story, partially ruined by the painfully overdramatic and shrill narration of Lyria. Please recast! I find the mixed narration jarring. I will not be buying any more audio recordings with mixed narration. 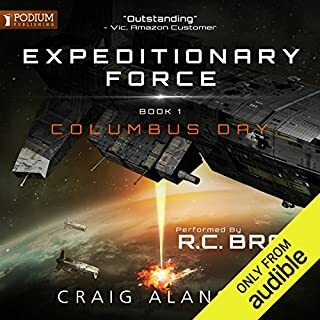 Should Pierce Brown write more in this series I will buy the ebooks but NOT the audiobook if Tim Gerrard Reynolds is not the ONLY reader. My enjoyment of the story has suffered from the approach taken. 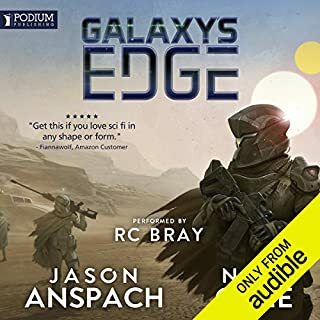 Where does Iron Gold rank among all the audiobooks you’ve listened to so far? A good yarn, and engaging. Worth listening to. 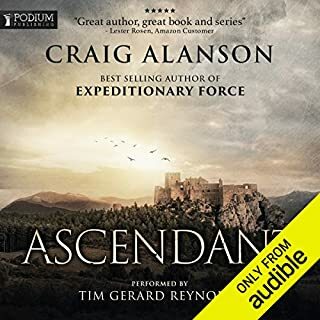 There are 4 narrators - all were good - especially Tim Gerad Reynolds who read the first 3 books in the series - except for Julian Elfer, whose voice I found to be too much of a monotone and almost ruined the book for me. Pierce Brown has done it again; Iron Gold, the first in a new series following the story from the Red Rising trilogy, doesn't miss a beat. adding depth & expansion to an already huge universe; Iron Gold expands the POV characters from 1 in the first series (Darrow) to 4. 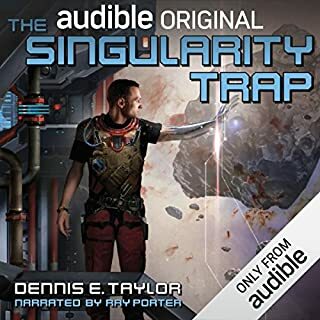 As an Audiobook series, the initial trilogy was flawless. Tim Gerard Reynolds captures every character, every emotion and every tense moment, making the series come alive. The decision to bring in new narrators for the new POV characters might seem natural enough, but none manage to keep pace with Reynolds. Though I will say; props to John Curless & Aedin Moloney. While I preferred Reynolds' chapters & narration, these 2 really got into their character roles. Curless really sounds like a bitter, war weary soul who has lost too much to care anymore. Moloney stays true to the Red roots & style of narration Reynolds brought in the first series; a long suffering but strong willed people. Only Julian Elfer really bring the book down. He voices some huge personalities & important characters for the ongoing story. Yet his narration is rushed, lacking emotion & difficult to digest. Personally - I'd have preferred Reynolds to narrate the book solo. However, I won't be sad to see Curless & Moloney return for the sequel. Elfer, however, needs to either be replaced altogether or understand the gravity of the characters & story he's narrating. His voice is perfect for Gold, but that's the only really positive thing I can say about it. 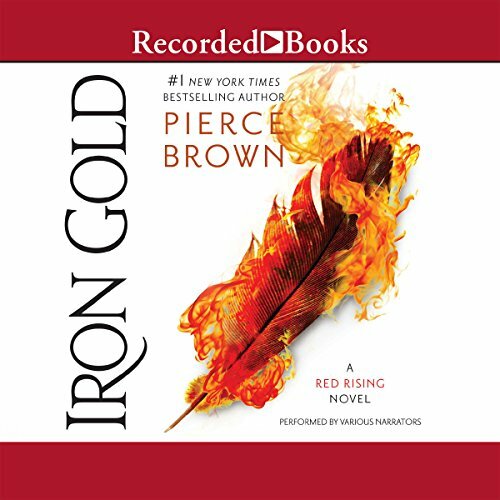 Overall - Iron Gold is another success by Pierce Brown. He's fast becoming a favourite story teller of mine. 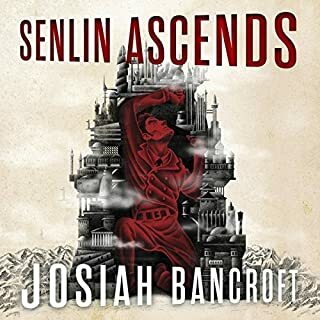 if you enjoyed Red Rising, you'll enjoy this. Give the new narrators a chance to grow on you and I suspect you'll end up enjoying them (most of them,anyway). Can't wait for Dark Age now!